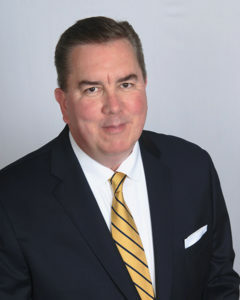 Joseph M. Smith has been named director of business development for Elliott-Lewis Corporation according to President and CEO William R. Sautter. In his new role, Joe Smith will focus on methods for improving the overall experience of Elliott-Lewis’ existing customers. In addition, he will be responsible for identifying potential new clients for the organization. Smith, who joined Elliott-Lewis in 2005 as a sales engineer, has more than 30 years of experience in the mechanical construction and HVAC service industry. He earned his B.A. degree from Temple University and holds an M.S. degree from Villanova University. He and his wife, Joan, reside in Flourtown, Pennsylvania with their four children. Elliott-Lewis Corporation, founded in 1905, provides commercial HVAC, refrigeration and plumbing service and construction in the Greater Philadelphia region, New Jersey and Delaware. In addition, it provides facilities management for some of Philadelphia’s most iconic buildings.